Convenience and universality – these are distinctive features of Canyon CNE-CSP202 acoustic system. 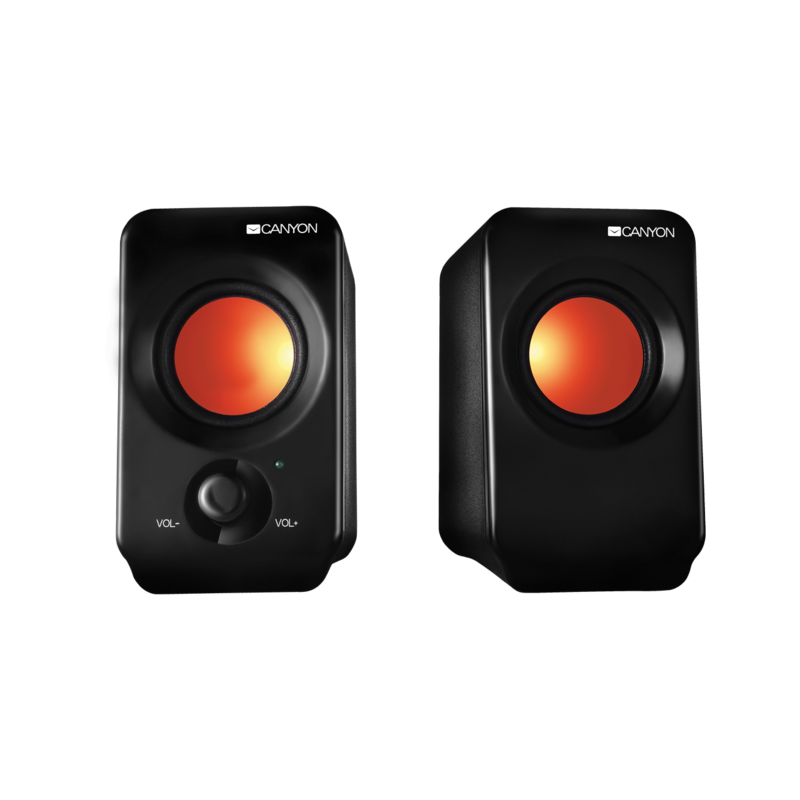 The speakers are easily connected to any audio device with a standard 3.5mm jack and do not require an additional socket, as it is USB-powered. Place them wherever you like! 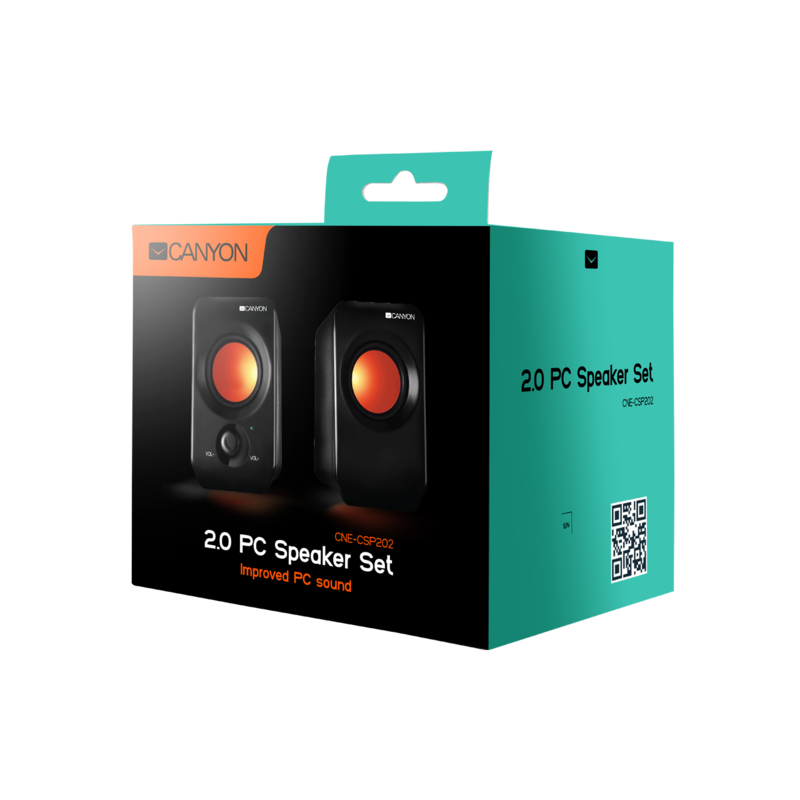 Compact and lightweight, with the handy front-facing volume control, Canyon PC speakers deliver good sound quality for watching movies or listening to your favorite music.